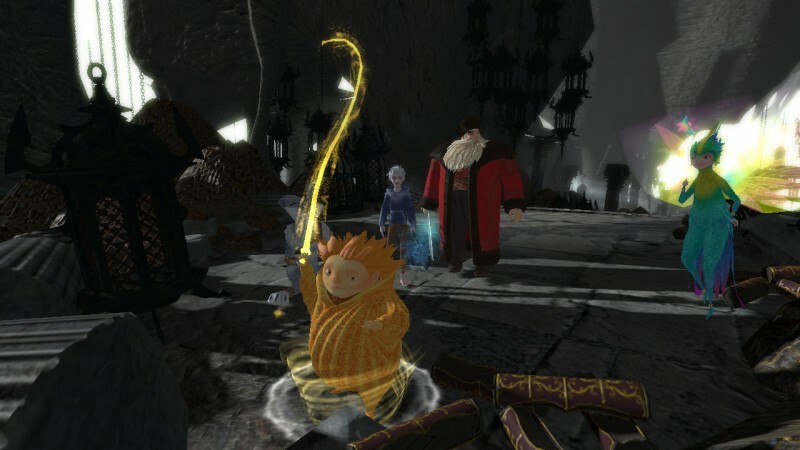 We got some hands-on time with Torus Games' new family-friendly RPG based on the upcoming movie from Dreamworks. 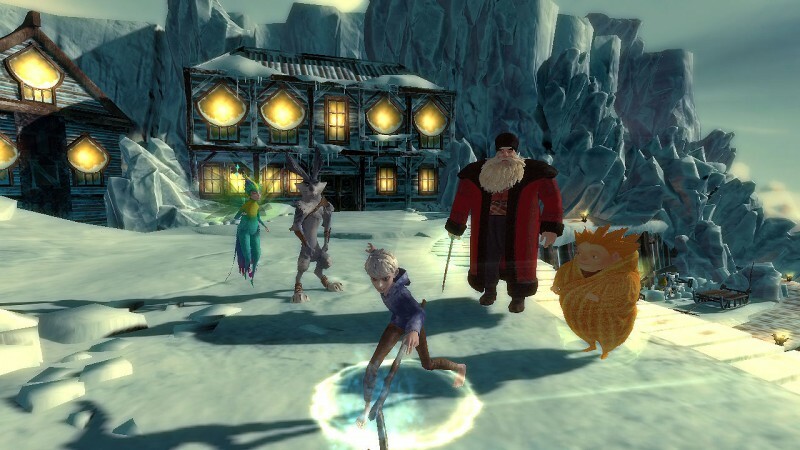 In Rise Of The Guardians, five classic childhood legends -- Santa Claus, the Easter Bunny, Tooth Fairy, Sandman, and Jack Frost -- team up to take down the boogeyman, A.K.A. Pitch. Pitch has been stealing the teeth of children, which contain the beliefs those kids have in the iconic characters, which in turn makes them weaker. Don't worry; the plot premise is less important than the gameplay. 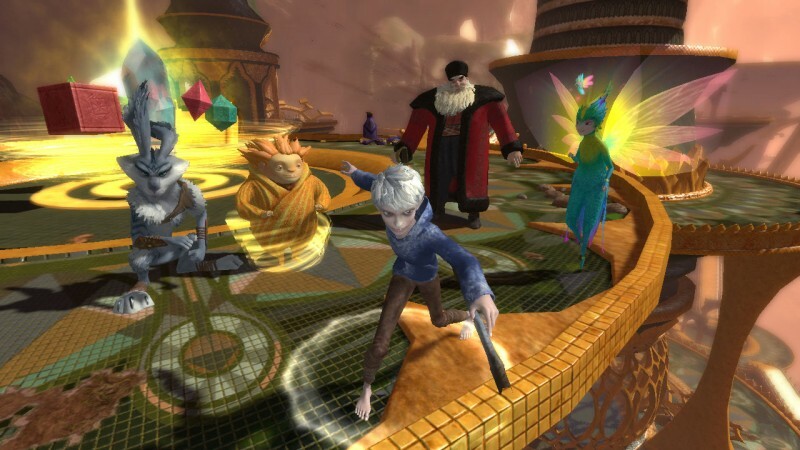 The main draw of Rise Of The Guardians is its 4-player couch co-op, which lets players drop in and out of the action at any time. Not only that, but you can freely hop between the characters as well. All five characters are on screen at all times, with the CPU commanding the extra characters -- simply hit left or right on the d-pad to switch to another character. Each character has three special abilities in addition to their basic attack. Sandman's most powerful attack unleashes a sand cyclone, while Tooth Fairy can take down enemies with a whip made out of teeth. Your opponents will be Pitch's shadow minions, which appeared as nightmarish animals in the levels we played. Each character also has RPG stats that can be upgraded, and you can re-spec characters at anytime as well. The visuals are evocative of the Dreamworks film, and D3 tells us that Torus is working closely with the studio to make the game above and beyond a simple tie-in. 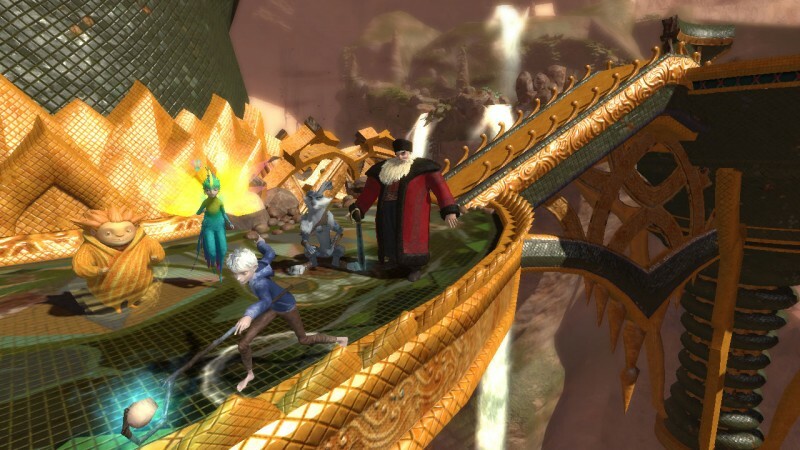 The game world is non-linear, allowing players to warp to different realms in the order of their choosing (although some levels may be too difficult and require a return trip once you've leveled up your party). Combat felt overly simple during our hands-on demo, but being able to switch between characters on the fly is a nice twist on the standard brawler formula, and players can always use more 4-player couch co-op options -- especially ones the kids can play. 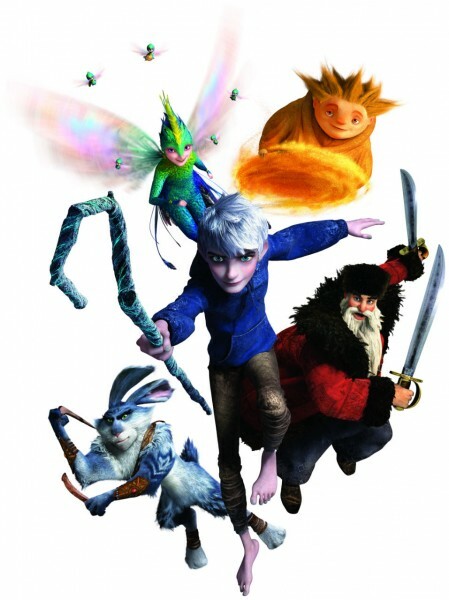 We'll bring you more on Rise Of The Guardians as we approach its November 20 release date.